Hello Konnectors (lol), welcome back to The Kim Konnection. I hope you are all doing fantastic! 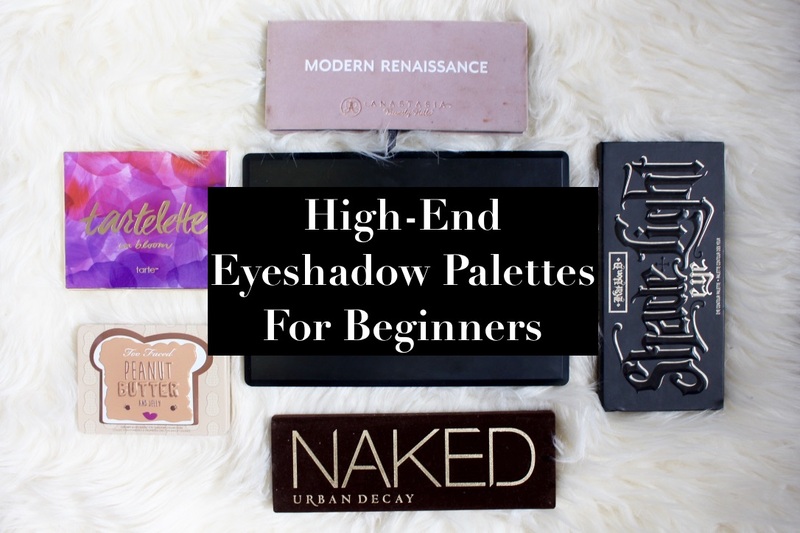 In continuation with my mini-back to school series, today’s post is all about high-end eyeshadow for beginners. Now, I’m not a beauty guru and I’m not a makeup artist, but I have suffered through the task that is finding the right eyeshadow palette to “treat myself to”. There are literally thousands of eyeshadow palettes out there that are priced as a luxury item (I mean come on guys, it’s colored powder). So where do you start? Which brand has the right eyeshadow palette to kick-off your brand new collection? Well, today I’m going to tell you what palettes I found helpful as a beginner. Let’s have a chat, shall we? Tartelette In Bloom Palette ($46) – This is probably my favorite beginner palette. It’s such a simple palette that allows you to do a perfect, everyday eye look with no problem. Again this is very warm palette, but it comes with a nice amount of mattes and a few shimmers. Also, that mirror tho. Very nice, I approve. This palette is expensive but it’s honestly so worth it. It’s the best travel palette ever and it’s great for when you have no idea what you want to do with your eye makeup, which is my life 75% of the time. You can buy this bad boy by clicking here. Or here… Or here! Kat Von D Shade + Light Palette ($48) – This was actually the first high-end palette I purchased. I love how easy this palette makes it for you to create I looks. They literally map it out for you. The only down fall is the fact that this is an entirely matte palette and it has no shimmer colors for your lid. There’s also a lot of fall out. I love this palette though and it’s great if you’re just starting to learn how to work with matte colors. You can buy it here and here. Urban Decay Naked Palettes ($54) – These are holy grail eyeshadow palettes, so I had to include them. They’re buttery smooth, pigmented, and all around good shadows. I also like that this series includes several palettes, so you can find which one best matches your skintone. Urban Decay also offers a Naked Basics series that are basically mini Naked Palettes. The issues I have with the Naked series is the lack of matte colors in many of their palettes and the fact that they cost a kidney. Other than that, they’re amazing palettes and are worth the hype. You can check out the entire range on Urban Decay’s website. And you can read/watch my review of the new Naked Heat palette by clicking here. Honorable Mention Palette: Modern Renaissance by Anastasia Beverly Hills ($42) – I had to mention this palette because it’s my favorite of all time. This palette is so good I could cry. It blends like a dream, it’s pigmented, it never fails you and it could probably bring world peace. Now, if you’re not into reds, pinks, and oranges then this isn’t the palette for you, but my GOD it’s so good. I apologize for how janky this palette looks in the photos, I clearly give this palette a lot of love considering I’ve hit pan on two of the shadows. But yes, this palette is amazing and the eye look you can create with it are amazing too! You can buy it here, here… and here! Previous My Top 5 Most Embarrassing High School Moments. Next Top 10 Tips For College And University.